Argueil is a village and commune 33 kilometres east-north-east of Rouen, and 10 kilometres north of La Feuillie, a village on the Rouen to Gournay-en-Bray road (N.30). The cemetery is south-east of the village, on the south side of the N.321 road to Rolleval, and is about 400 yards from Argueil Church. 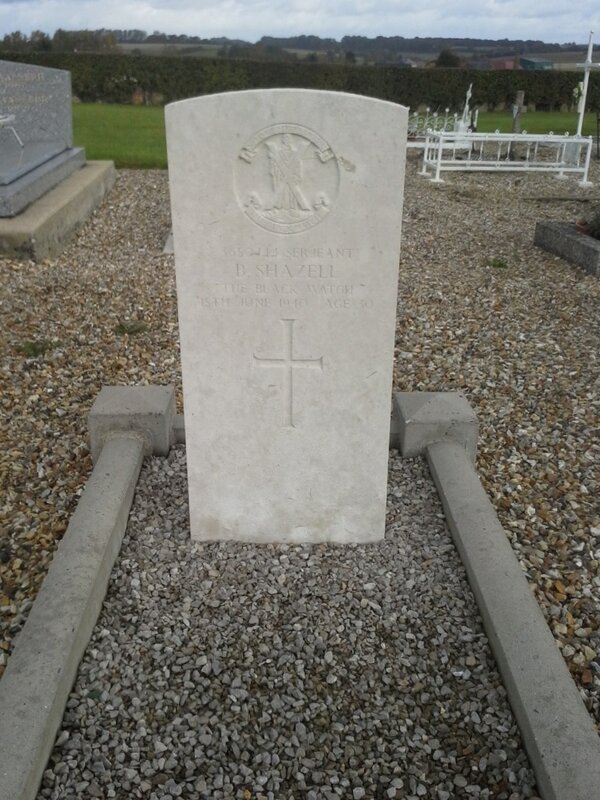 East of the crucifix in the central path is the grave of a British soldier. 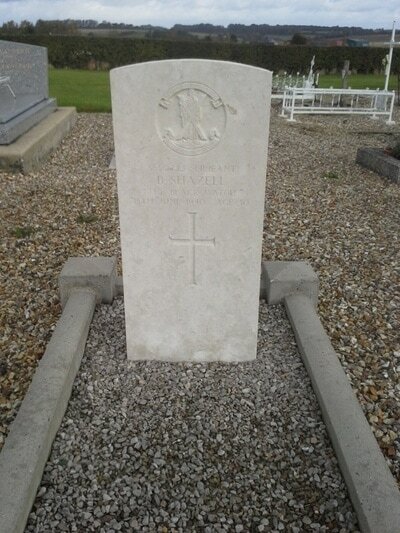 3650744 Serjeant Bernard Shazell, 1st Bn. Black Watch (Royal Highlanders), died 15th June 1940, aged 30. Son of Bernard Robert Edgcumbe Shazell and Jane Morday Shazell; husband of Irene Shazell, of Selby, Yorkshire.